Hitting back at Finance Minister Arun Jaitley for advocating repeal of the special status of Jammu and Kashmir, PDP president Mehbooba Mufti said on Saturday that the relationship between the Union and the state would be over if Article 370 of the Constitution is revoked. "Jaitley must understand this. It is not an easy thing to say. If you scrap (Article) 370, your relation with J-K will be over," Mehbooba told party workers at her residence. Jaitley had on Thursday advocated repeal of Jammu and Kashmir's special status and said Article 35A, which restricts non-permanent residents to buy property in Jammu and Kashmir, is "constitutionally vulnerable" and also hampering economic development of the state. 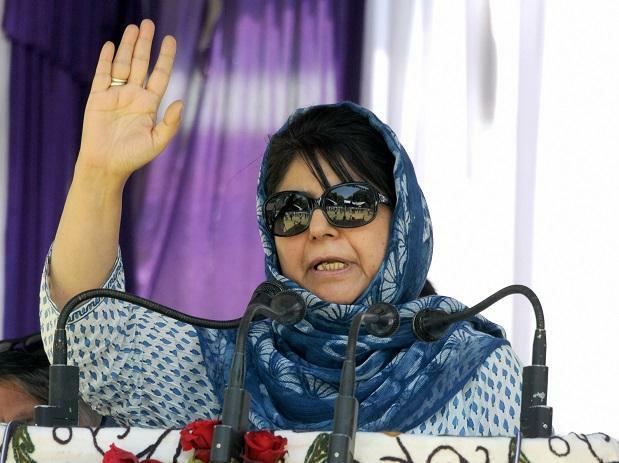 Mehbooba said Article 370 was a bridge between the Union and the state and if the special provision of the Constitution was revoked, then New Delhi would have to "renegotiate" its relationship with Jammu and Kashmir. The former chief minister has said in case Article 370 is revoked, Jammu and Kashmir will have to rethink whether it wants to stay with India. "Because if you have given us a special position in the Constitution of India and you break that position, then we will have to rethink whether we would even want to stay with you without conditions," she said. Earlier, National Conference leader Mohammad Abdullah Wani and Awami Insaf Party chief Ghulam Ahmad Sheikh Saloora joined the PDP, along with their supporters. Wani and Saloora were welcomed into the party fold by Mehbooba and party patron Muzaffar Hussain Beigh.